It’s understandable that organizing the pantry probably isn’t the most appealing task on your to-do list. Then again, scrambling through a messy cupboard might not seem that great either. What if we told you there was a way to organize your pantry that would not only be practical for everyday use but could also be stylish, too? Let scrambling through the pantry be a thing of the past! 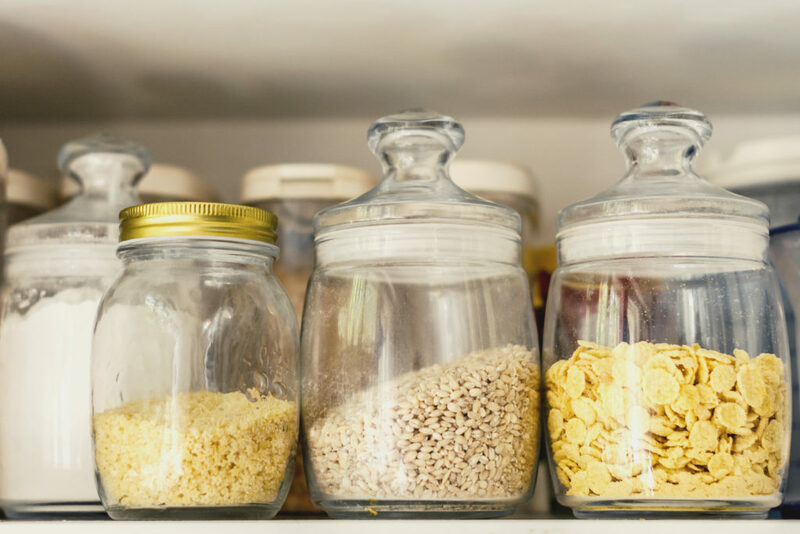 Our team at Progressive Builders has put together a few tips to help you organize your pantry to make it both practical and stylish. Place the items you use the most front and center in your pantry. If you find yourself reaching for your olive oil, salt, garlic pepper, or other commonly used ingredients more frequently than twice a day, consider storing them on a decorative tray or shelf located conveniently near your stove. If you store a lot of jars and cans, putting in risers can make a world of difference. You can make your own by laying panels of wood to give your cans or jars a lift. This way, you can always see exactly what you have in your pantry at all times. If you have flour, beans, sweets, oats, or other items that need to be scooped, put them in angled jars that have wide openings. These display easily and make your life a lot easier when you need to quickly grab something. For even more efficiency, add a scooping spoon to each jar. Why not use the space on the backside of your pantry door to your advantage? Add clips or extra shelves with railings to the inside of your pantry on the door to store things like seasonings and spices. This way when you swing it open, all those spices and seasoning will be in plain sight. This makes the most efficient use of your space, especially if you have a smaller kitchen. Add interior lights to your pantry to give it a more polished, chic look. Not only will this give a cleaner look, but it will be a big help when you are searching for an item that may be hiding in the back corner. If you’re ready to take the next step and remodel your kitchen altogether, contact Progressive Builders today. We can walk you through the process to give you the kitchen of your dreams, organized pantry and all.